Experience security, convenience and ease of use with a globally integrated supplier data exchange. In a globalized manufacturing economy, you need to overcome the challenges of CAD collaboration. 3D PDF Technology enables collaborative communication and integration in product development, allowing data to be easily shared using the free Adobe Reader. ​Strengthen PLM with PROSTEP, a 100% engineering, vendor ​neutral software and consulting company with over 25 ye​ars of experience in PLM. Product Lifecycle Management is complex and often involves cooperation with cross domain partners, suppliers and customers. To keep up with the changing demands and the quick pace of manufacturing, you need a company like PROSTEP that specializes in PLM integration and migration. PROSTEP will help you customize and integrate the right software with the right components in your existing IT environment. PROSTEP AG, the Germany-based parent company for U.S. based subsidiary PROSTEP INC, is recognized as the leading PLM integration specialist in the area of product data integration. The company works with customers from the aerospace, automotive, shipbuilding and mechanical engineering industries – including Airbus Group, BMW, Volkswagen, Daimler – and provides integration solutions for CAD, PDM and supplier communication to make e-engineering a reality. The PROSTEP Group consists of more than 250 employees globally. In addition to headquarters in Darmstadt, PROSTEP also maintains branch offices in Berlin, Cologne, Hamburg, Hanover, Munich, Stuttgart, and Wolfsburg, as well as in Birmingham, Michigan (USA). ​PROSTEP INC is the wholly owned subsidiary of PROSTEP AG and is located in the hub of the US automotive industry, Birmingham, MI. ​PROSTEP is the leading vendor-independent PLM consultants for the discrete manufacturing industry. With 250+ employees throughout and 20+ years of experience, PROSTEP specializes in PLM consultancy services and engineering solutions. PROSTEP are experts in providing leading global manufacturing companies with the support they require for designing and optimizing their internal and cross-enterprise development processes. Have you been affected by the $50-60 billion dollar loss of intellectual property that occurs across the globe yearly? Whether your IP consists of CAD files, industrial designs or patents, ​you need a platform for data exchange that handles transferring files in addition to controlling, transferring, and documenting the entire data exchange process. PROSTEP can ensure that your data stays secure throughout the process by transferring large engineering files at the highest level of encryption. 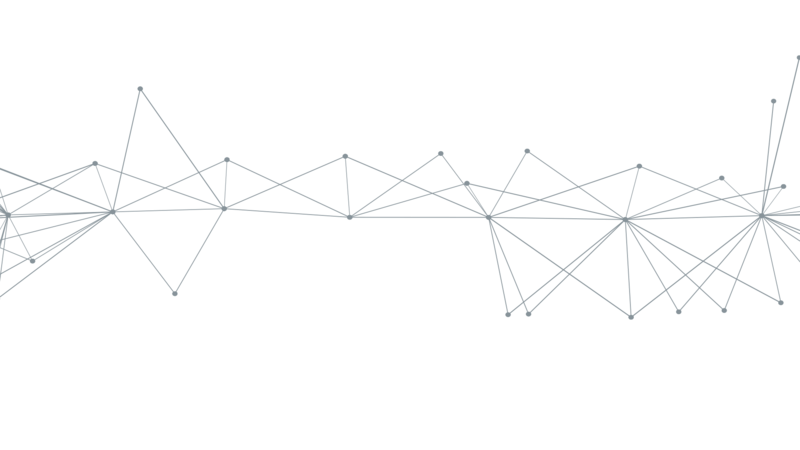 ​The CAD data ​ used in manufacturing uses notoriously large files , making it cumbersome​ for you to share your data downstream. ​Because manufacturing is done on a global scale, it becomes a significant challenge to efficiently share secure CAD data with all partners, vendors and developers. How can you protect your IP and share your data when you encounter incompatible systems and software, vastly different data standards, and restrictive IT administration rules? You need a ​solution that transforms CAD into a "lightweight" representation - a .pdf file. When compared to full-fidelity CAD, a lightweight solution allows you to create a CAD representation within a PDF file of the necessary data. When you send a PDF instead of the entire CAD , you greatly reduce your risk for IP theft. What more can you do with a .pdf? 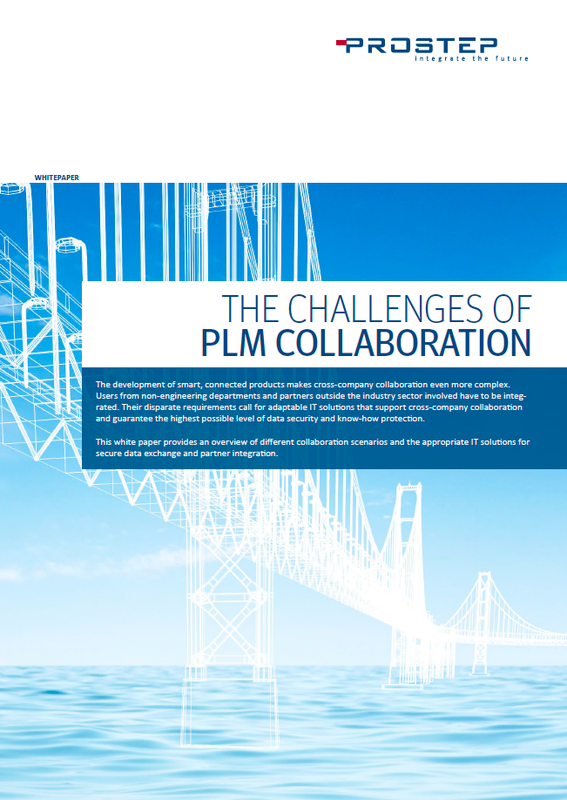 Discover the strength in partnerships with leading CAx and PLM vendors. Leverage the combination of expertise from PROSTEP and our partners and give yourself ​competitive advantage. ​Stay up-to-date with emerging technologies and standards. Understand how the changing IT landscape will impact and bring challenges to your business in the years to come. Download our whitepapers to discover solutions to these challenges. What collaboration requirements and processes are best used for efficient communication throughout PLM? 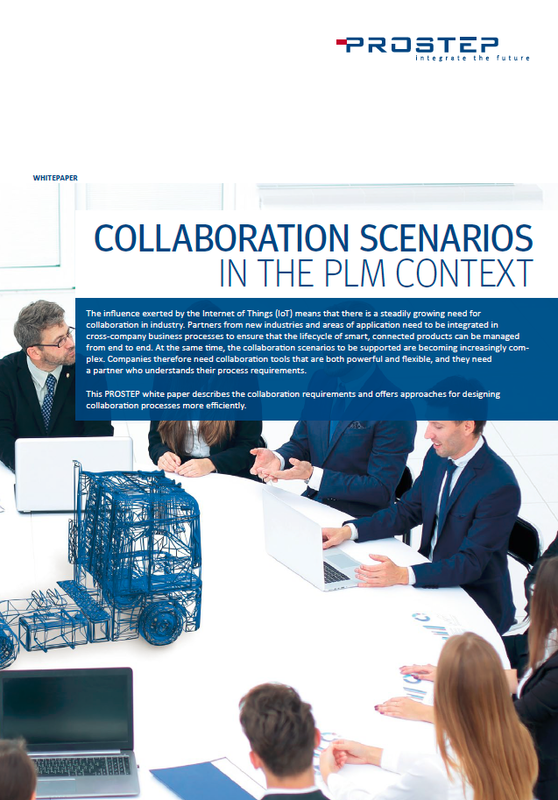 ​​Download and understand how to design efficient collaboration approaches. 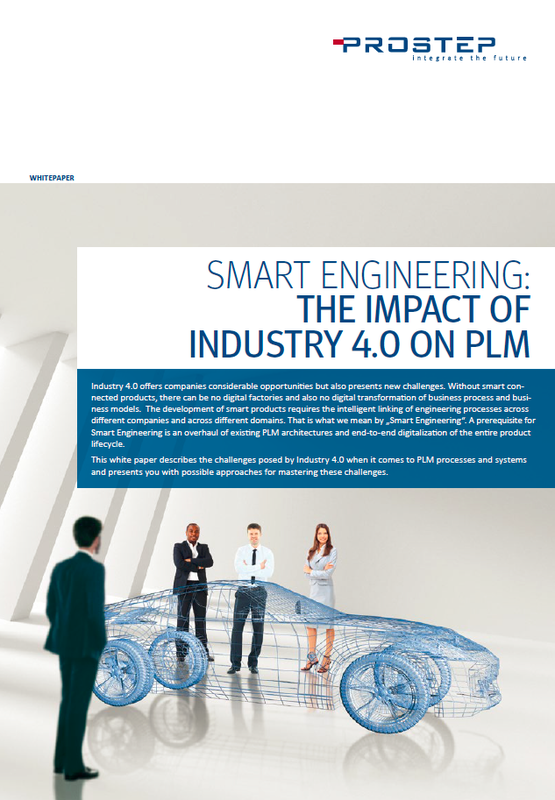 ​What challenges ​does Industry 4.0 bring when it comes to PLM processes and systems​? Download and understand possible approaches to overcoming the challenges posed by Industry 4.0. ﻿What right mechanisms to large scale corporations and joint ventures must have in place to exchange data properly? Download and understand the collaboration tools for flexible communication.